The dark side of the moon or far side of the moon or back side of the moon all are the same things. Moon our nearest neighbor, which is continuously rotated around the earth. Because of the moon earth is stable on their position. If you ever think about, why we only see this side of the moon, why? No one sees the back side of the moon or far side of the moon or Dark side of the moon. 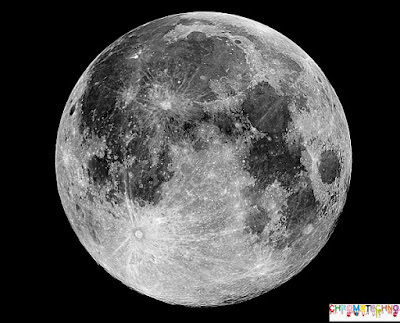 From the civilization of human beings everyone only sees the near side or front side of the moon. Moon completes its orbit around the earth in 29 days 12 hours 43 minutes and 12 seconds approximately in a month. The whole rotation time of the moon is known as the lunar month. According to the Indian mythology at the time of Amavasya, the light of sun scattered his light on the dark side of the moon but that side of the moon is not shining that’s why no one has seen them. That side is known as the dark side of the moon as well as far side of the moon. First time on 12 September 1959, the Soviet Union launched Luna 2 satellite and it became the 1st country. 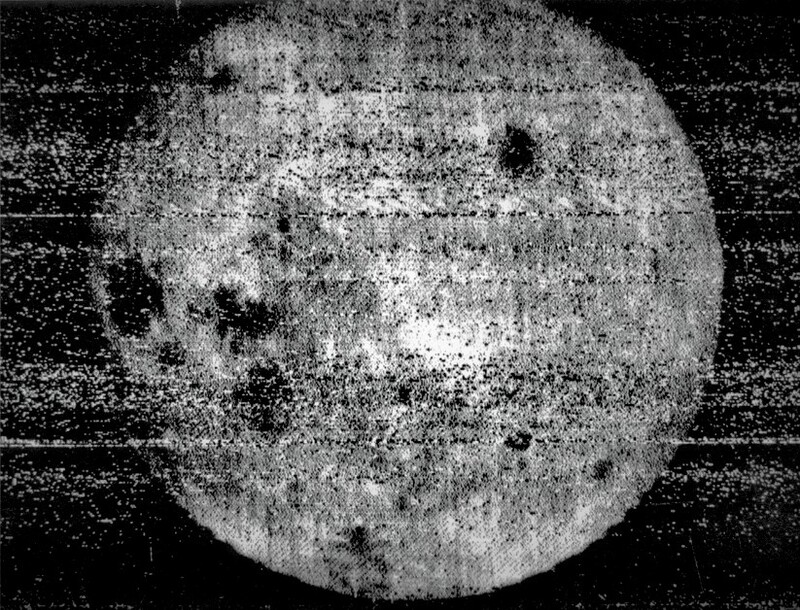 After that in the year of 1959 again the Soviet Union launched a satellite Luna 3 and 1stfirst everyone introduced with the dark side of the moon. 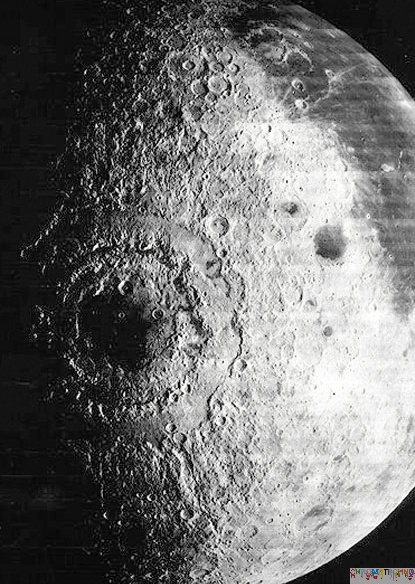 The first image of the dark side of the moon by Luna 3. Frank Broman, James Lovell, and William Anders these are the first name who see the dark side of the moon by this naked eyes at the time of 21 December 1968 in Apollo 11. Chandrayaan 1 is India’s first satellite. Launched by ISRO in October 2008. Chandrayaan 1 first discover the ice on the moon. And it is the biggest achievement for India. Then NASA launched Lunar Reconnaissance Orbiter Satellite they click the clear photo of the dark side and near side of the moon. 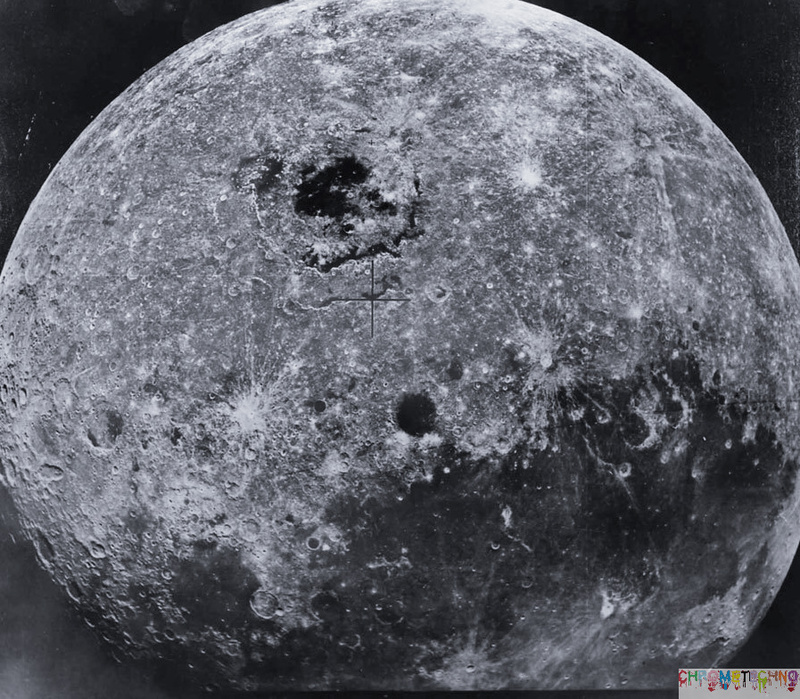 ·The back side of the moon is soo much unexpected and unbelievable and scary. 4 billion year ago asteroids rained down on the newly formed moon tearing into the surface the fractured crust is thinnest molten lava seeps from the moon’s hot interior. Spreads out and giant pools and solidifies to form the scars we today from earth. And strangely although the moon rotates the earth’s gravity holds on to it so tightly. The same face point towards us at all time. Making the features on the far side of the moon (Dark side of the moon) a complete mystery. For all the history of the dark side of the moon was, invisible to the earth. 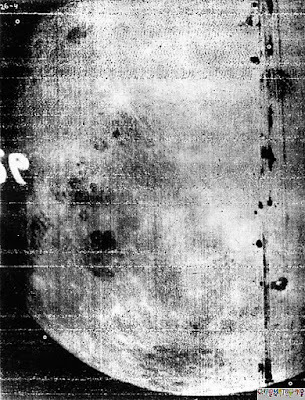 In 1959 Soviet spacecraft Luna 3 files past the moons dark side a photographs it for the first time. Astronomers accept to see the familiar dark and light patches. They were in for a big surprise. When scientists saw the pictures they were shocked the far side looked completely different than the near side. It’s saturated with creates it just as such a huge dichotomy nobody was expecting that at all. 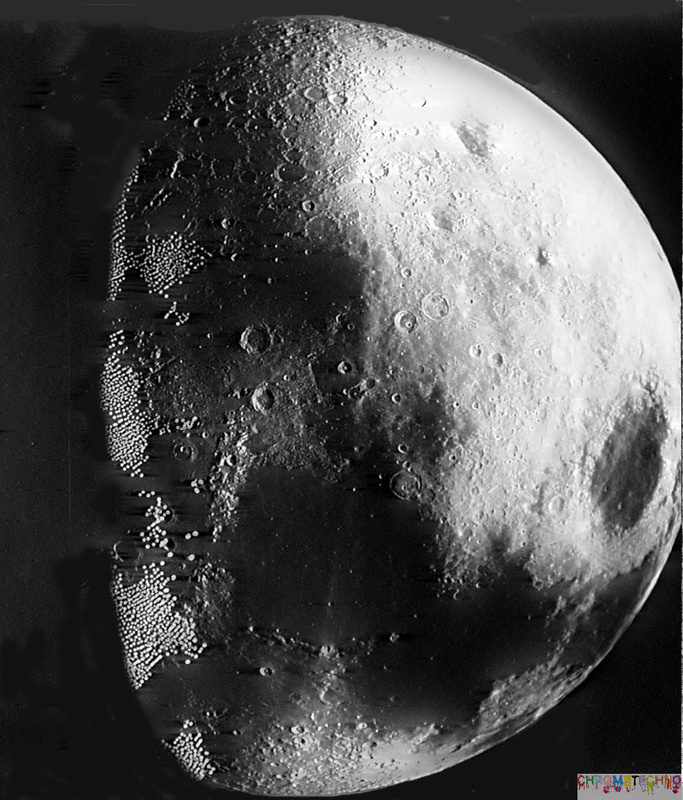 The far side still had massive impact craters. But it was uniformly pale it seemed like no dark lava had bled out onto the surface at all but why? The only solution we could come up with is, there’s a difference in thickness between the crest of the nearside and the crust of the dark side. The backside must be soo thick that lavas are not able to come up through them and erupt out onto the surface instead of on the front side where it’s very thin lavas can easily come up through cracks and flow out onto the surface. 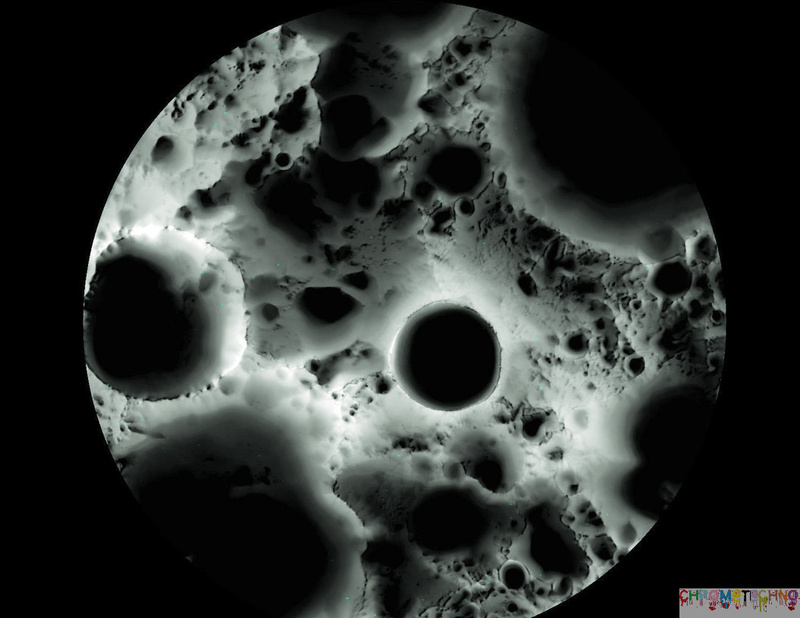 Recent NASA missions confirm the crust on the back of the moon is around 30 mils thicker than the crust on the front. 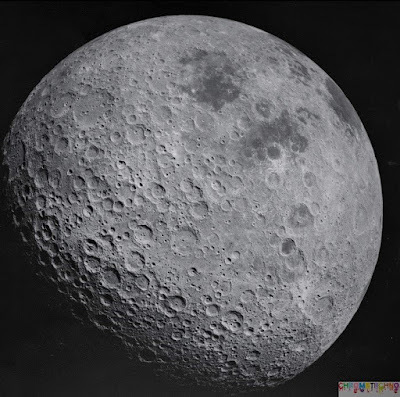 The far side a thicker it’s not like part of it is and part of it isn’t and it’s really the other side of the moon has a thicker crust than the near side that’s bizarre. So one of the biggest mysteries in planetary science over the last about 50 years is, you know why is the crust to the dark side so thick. 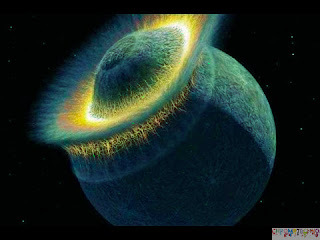 The impact theory doesn’t really cover that it just forms the moon but it doesn’t say why on the side should be soo different than the other one. Unless something strange happens, the new age of supercomputer brings about the first credible explain, according to the theory 4.5 billion years ago here are two moons of the night sky. The smaller moon chases its larger sibling gradually getting closer, eventually, the two moons mushed in slow motion and the smaller moon covers the far side of the larger moon creating a new much thicker crust. Not all impacts are high speed super violent events that eject material everywhere instead of just what smacking into it. It would have just merged with it just been pulled apart and smeared out over the moon. Essentially when you look at one half of the moon you see more of one body and we look at the other side of the moon you see more of the other body. They kind of wrapped around the first body and so it’s thicker on that side. Photos Of Dark Side of The Moon.